The Bible is full of examples of how God’s people, with homes grounded in the faith, faced crisis after crisis. These biblical personalities and families were not hopeless in the face of catastrophe—instead, their faith in God buoyed them, giving them hope for the future and strength to cope in the present. John Lepper’s When Crisis Comes Home: Revised and Expanded Edition will help you and your family prepare for, deal with, and learn from crises in your home. 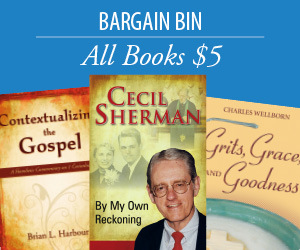 It will also help you help others in crisis—to point beyond the crisis, beyond the hopelessness, to the Bible and the biblical message of hope. 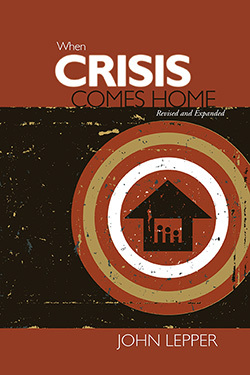 With questions for reflection, a teaching model for small group study, and reproducible study sheets, When Crisis Comes Home will help families in crisis draw on the inner resources of faith in God, enable them to give and receive care from their church family, and help them discover ways to draw strength from one another. John Lepper is coordinator of Kentucky Baptist Fellowship and serves part-time as a pastoral counselor at the St. Matthews Pastoral Counseling Center. He was Director of the Family Ministry Department of the Kentucky Baptist Convention for twelve years and served as a pastor for fifteen years. He is a graduate of Carson Newman College (BA) and Southern Baptist Theological Seminary (MDiv; DMin) and is a Fellow in the American Association of Pastoral Counselors.